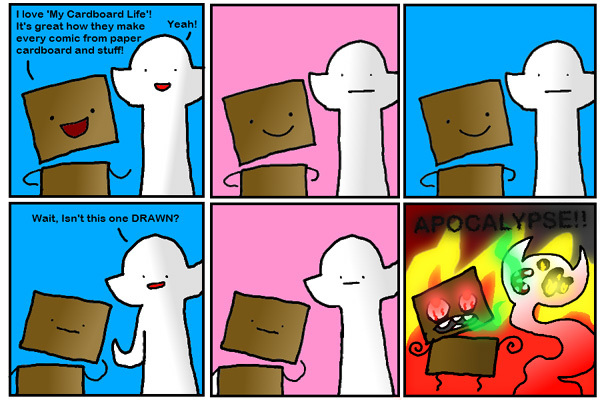 My Cardboard Life » Guest comics! Guest comics! Guest comics! Guest comics! Guest comics! Guest comics! This cheeky guest comic from Noel “DJ Bogtrotter” Curry continues on from the 300th My Cardboard Life strip I posted on Tuesday! 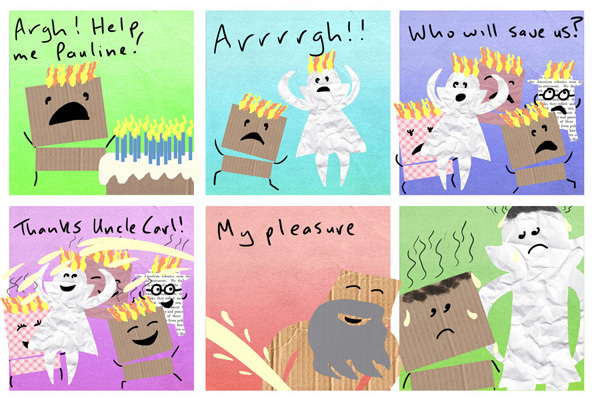 A guest comic with a truly terrifying ending by M. Eade. Kidney John puts Pauline in her place with his guest comic. I recognise that rubber. I think I work with one of his relatives. And here’s more comics from Timothy Winchester. Wow. 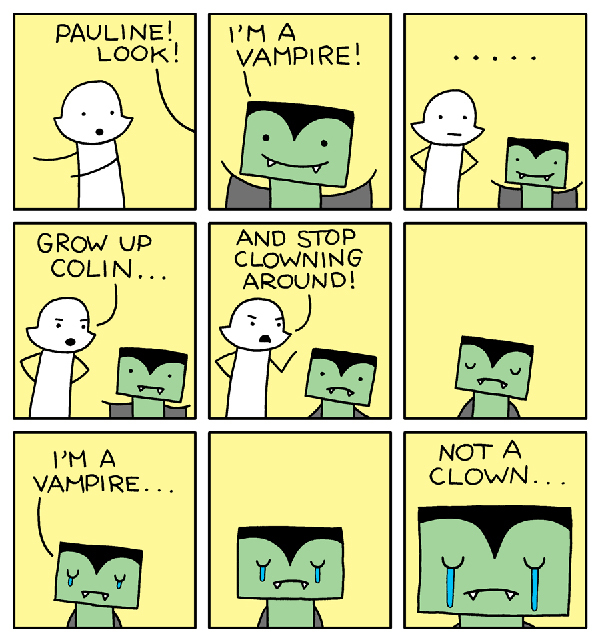 I am loving these guest comics very much indeed. There are many more to come and you don’t have to wait ’til Monday either. Come back TOMORROW for further excitement! as for the first one… i sure hope that’s water, tiger milk or at least urine >_< but with carl.. who knows…. aww.. colin as a sad, flat, bland vampire.. he's perfect for the next twilight movie!!! That second comic by Timothy resembles the art of Pictures For Sad Children. I adore the 2, 3 and 2 comics. Ou and I almost forgot… Colin looks sweet as a vampire and he’s more scary and bloody than twilight vampires…and I’m talking very seriously!